There have been dogs in the family ever since I was a newborn, from pure breeds to mutts to rescues of all mixes (and all sizes). This has allowed me to amass extensive experience with many types of dogs’ temperaments. I have been officially boarding and pet-sitting for about two decades. What started out as the constant favors for sitting family and friends’ (as well as friends’ friends’) pets, has evolved to become a work of love and commitment to healthy interactions and nurturing for animals. It’s a business, but a very personal business to me. 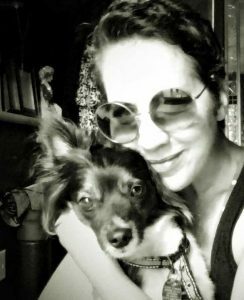 Probably the most important revelation about me and the dogs is that my extensive background in the healing arts (such as energy work and becoming a yoga and Pilates instructor) has somewhat exalted my positive experiences with animals and, in turn, their interactions with each other. Throughout the years I’ve had special needs animals in my care (i.e. diabetes, behavioral issues). I’ve given insulin shots to a few dogs (and cats), and have become quite proficient with these. The entire house is open for the dogs to play, relax and sleep. There are dedicated personal spaces for each dog (playpens and crates) where they can nap, sleep, eat, and spend the night. Outdoor spaces and doggie pool are a must for happy dogs! There is 24/7 supervision by me personally- CONSTANT AWARENESS of the dog’s needs is what sets Miami Dog Sitting and Boarding apart from the pack. Behavioral training is available as a separate service. As Cesar Millan says: “I rehabilitate dogs, I train people.” That is my motto as well. For more information, feel free to contact me via the message form (link is below).